Our range of products include industrial tensile testing machine, electronic tensile tester and tensile strength testing machine. 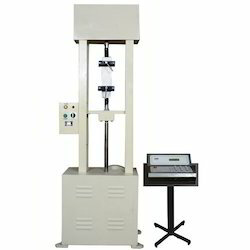 We are offering the high-quality collection of Industrial Tensile Testing Machine to our valuable customers. Our offered products are made with following set industry standards under the direction of experts. These are used for conducting tensile & compression test on wires, tubes, sheet material, cables, conductors, leather, asbestos paper, and much more. 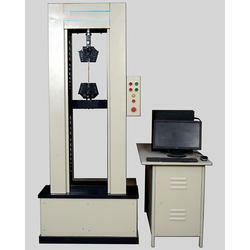 We are prominent names in the industry in offering a wide range of Electronic Tensile Tester. 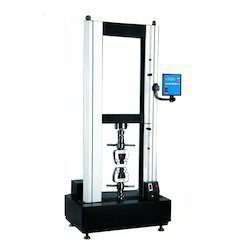 We are offering a wide assortment of Tensile Strength Testing Machine. These are tested by our expert quality controllers to check their quality and fine working. Also, these products are widely used to measure the tensile strength of various metals and material like mild steel, plastics, ply wood and others.